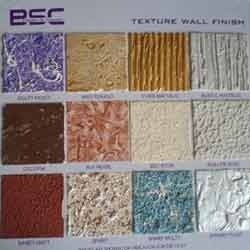 Texture Wall Paints is a proven high performance ready mixed exterior & interior decorative finish. It is made from high performance thermoplastic resin base, selected pigments, additives and hardest fine aggregates to ensure a very long life on all types of surface. 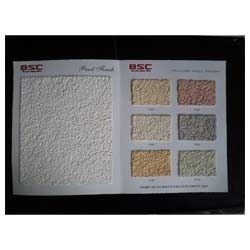 As a well known entity of the industry, we are offering a broad array of Spray Texture Wall Paints. The offered wall finish paints are well processed in our advance processing unit by using finest quality ingredients and leading technology according to the set market standards. 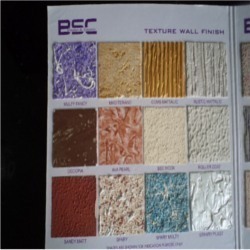 Our quality controllers test these wall finish paints on numerous quality parameters so as to deliver a flawless range. Owing to our vast experience in this domain we are highly engaged in offering Roller Coat Texture Wall Finish Paints. These paints are applied with special rollers for giving real look to walls, the offered wall finish paints are processed using supreme class ingredients as per the set quality norm at most suitable condition. 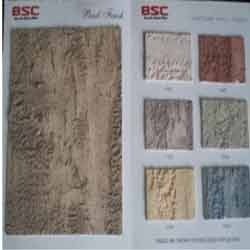 Moreover, we offer these wall finish paints in various quantities of packed options to meet the exact needs of the customers. We are paramount name in manufacturing and supplying of wide spectrum of Texture Wall Finish Paints that gives rough & emboss look like textured walls, the offered wall finish paint is perfectly processed with premium quality ingredients in adherence to market standards. 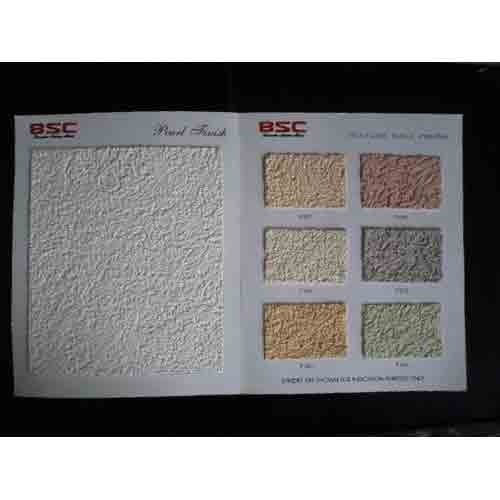 This wall finish paint is provided in various quantities as per the need of our customers. Along with that, the offered wall finish paint is packed with high precision to assure its purity for a longer period. 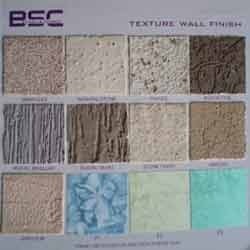 Being as affluent enterprise, we are indulged in providing a vast variety of Texture Wall Paints. Provided in various textures of walls, the offered wall finish paints are processed by with top-notch quality ingredients and gives an emboss look like walls. Along with that, customers can avail the offered wall finish paints from us in seal packed options in various quantities at the most affordable range. Looking for “Texture Wall Paints”?